Labour Party gubernatorial in yesterday's election, Otunba Adebayo Alao-Akala has congratulated Governor Abiola Ajimobi ‎over his victory at the poll. According to a release by Alao-Akala's director of public affairs, Oludare Ogunlana, the former governor was said to have put a call through to the Governor after being informed about situation of things by his agents at the collation centre. He was said to have called before the result was announced. He said that his decision to congratulate ‎the governor was borne out of the need to respect the people's wish and in order for the state forward to be moved forward, advising the governor to be magnanimous in victory and device ways of taking the state to higher heights. He reaffirmed that he did not see himself as a loser as he heeded the people's call to serve. Emphasizing the need to run a masses-oriented government, he said "at this point in time, all governmental policies must reflect the yearnings and aspirations of the people. The governor, should as a matter, deploy all resources at his disposal for the overall development of the state, not leaving any region behind. 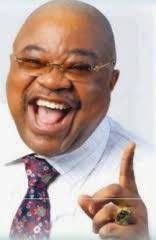 Alao-Akala, however, thanked those who voted for him and other lawmakers-elect, saying that "defeat makes people stronger. We will go back to the drawing board to see where we went wrong and readjust for future aspiration. Our supporters should not be sad, rather they should be happy that a party they joined few months ago is able to make a good showing at the poll. He also advised the people of the state to cooperate with Governor Abiola Ajimobi. "No government can work on its own; the people must cooperate and contribute their own quota to the development of the state," he advised.